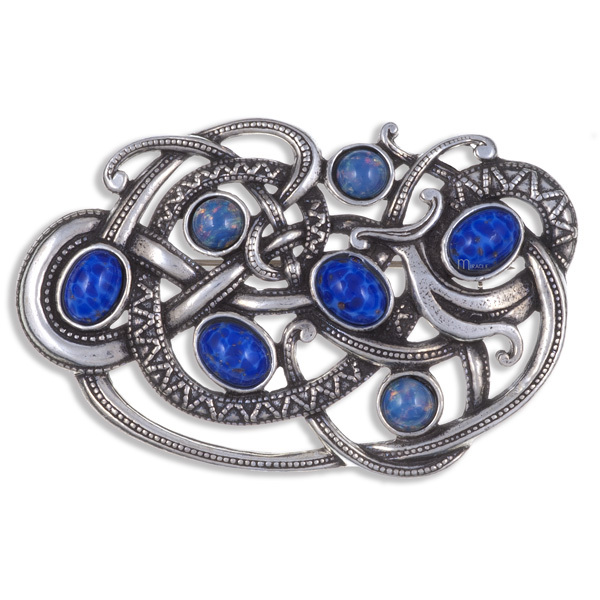 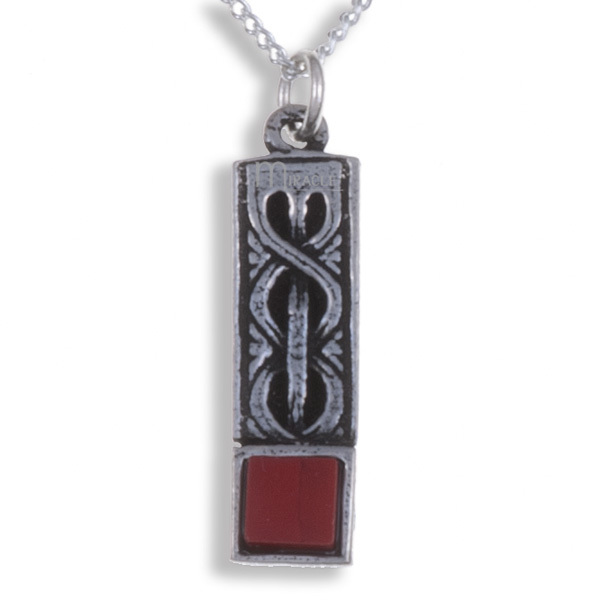 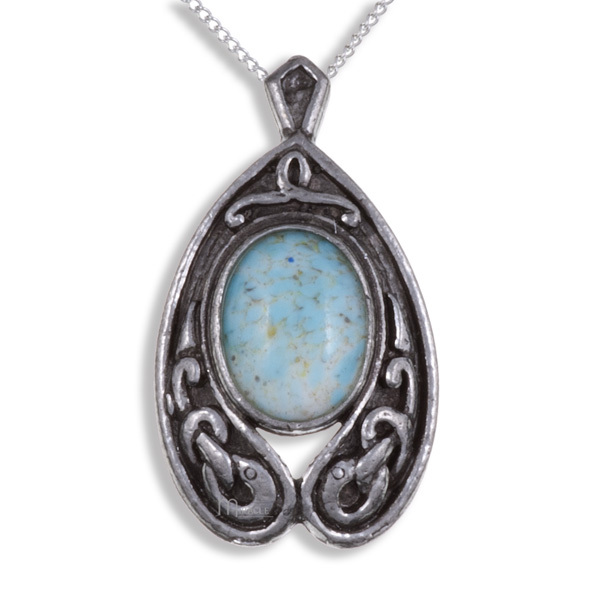 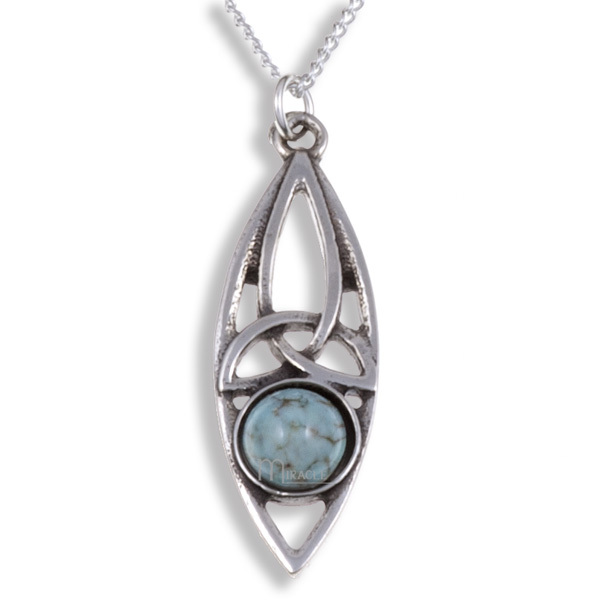 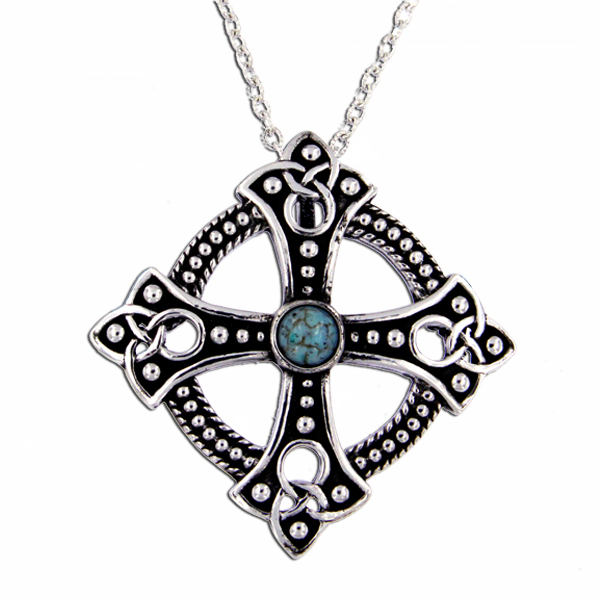 Antiqued pewter pendant with a Celtic design and central glass stone setting. 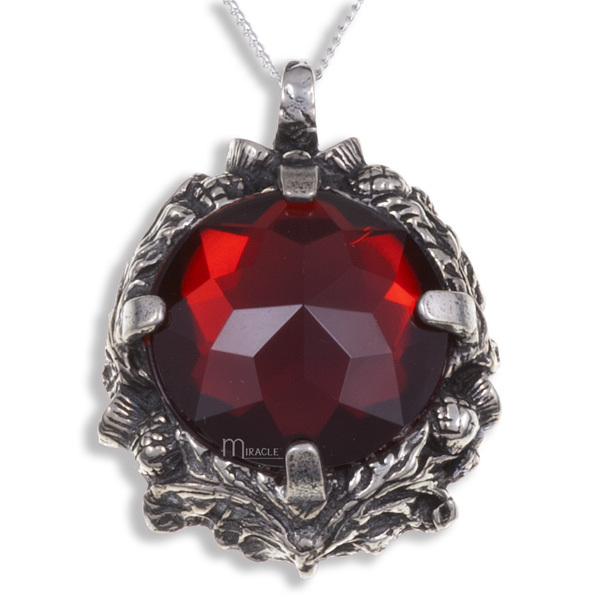 Comes on an 18″ silver plated trace chain. 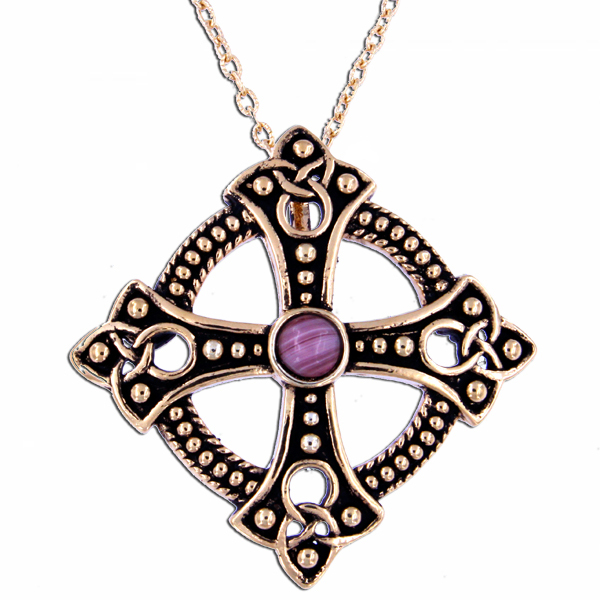 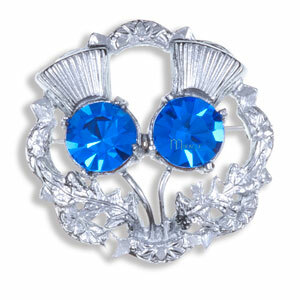 Available in amethyst, iona, opal and turquoise.